Do you know where the deepest cave in the world is? It’s called Krubera Cave, and it’s in the the Western Caucasus mountains of Abkhazia (which is a country that broke away from Georgia). It’s a limestone cave, composed of Lower Cretaceous and Upper Jurassic limestones. So how deep is it? It plummets down below the modern sea level of the Black Sea. 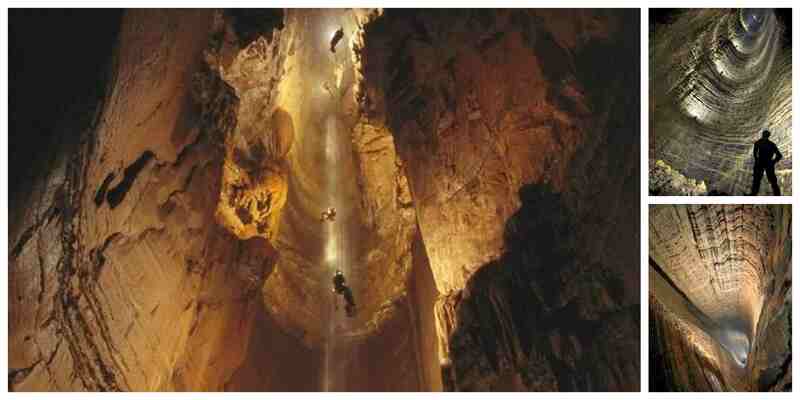 From the point people enter the world’s deepest cave to the bottom of it, it’s 2200 meters (7200 feet). It’s so deep Ukrainian expeditions didn’t manage to reach the bottom for several years and after several expeditions to lesser depths. 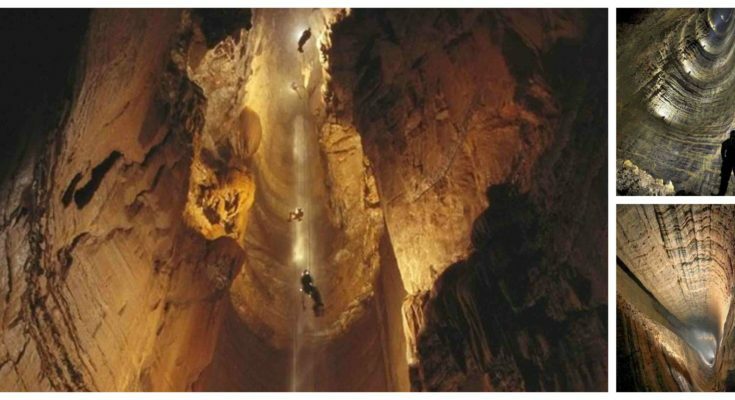 The cave is the only cave in the world that is known to be deeper than 2000 meters. The second-deepest is Lamprechtsofen in the Austrian Alps at around 1700 meters. Take a look at the photos and imagine rappelling down the world’s deepest cave. That’s something to add to your “try it some day” list.